Aging Seniors in Calgary are seeking help at home in greater numbers every year. 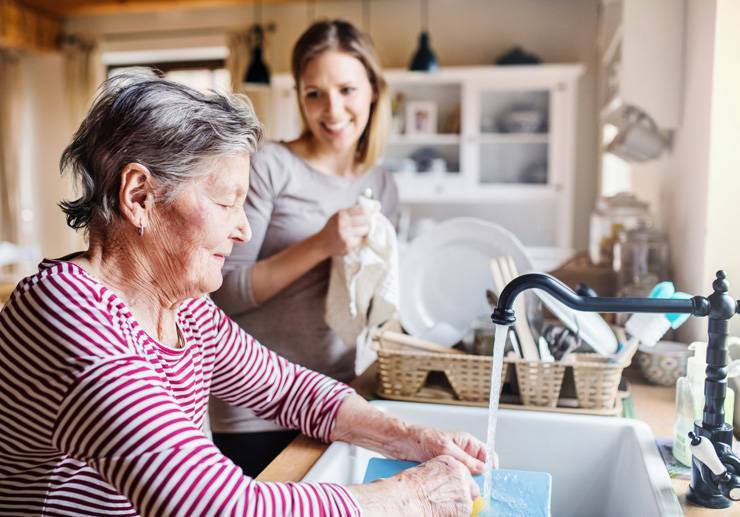 Family and friends sometimes step in to provide caregiving, however many families turn to professional home care services for their loved ones, whether through private home care companies or through Alberta Health Services (AHS). Private home care is based upon the principle that older adults should remain as independent as possible and be in a safe and healthy environment. To that end, most home care agencies such as Home Care Assistance Calgary, work hard to ensure that their clients can live as much of their life independently with the appropriate level of care to maintain a high quality of life. An estimated 4.3 million Canadians – more than 13% of the population—are aged 65 and older and the number of seniors is expected to double by 2026. With an aging population comes an increased need for different care options, particularly given the strong stated preference that 9 out of 10 older adults have for “aging in place”, or staying in their own homes. In its simplest terms, home care means receiving services at home. Ideally, it also means meaningful companionship and reliable support for daily activities and respite for family caregivers. How Does Private Home Care Differ from Public Alberta Health Services Care? While public Alberta Health Services care provides a valuable resource to many older adults, it does not provide the level of personalized care and service that private home care such as Home Care Assistance Calgary offers. It typically takes 2-4 weeks before an Alberta Health Services worker (case manager) can come out to do an assessment. The type of care that is provided may not be enough for a client’s needs; Alberta Health Services home care only provides the minimum number of hours based on their assessment with services limited to personal care and medication reminders. There is less of an opportunity for consistency of care; Alberta Health Services caregivers are switched often and are sent to homes based solely on availability. This can be especially difficult on clients who have cognitive decline. Alberta Health Services doesn’t typically schedule care on weekends or stat holidays. Alberta Health Services schedules care in a “range of time” and not at an exact time, which can become troublesome due to other appointments or time commitments for the client. Private home care such as Home Care Assistance Calgary, provides support in all activities of daily living and instrumental activities of daily living, including meal preparation, grooming, housekeeping, laundry, transportation, appointment accompaniment and companionship. Private home care enables older adults and adults living with chronic frailty and illness to enjoy the comfort, dignity and independence of living at home with personalized one-on-on attention and care from expertly matched caregivers. At Home Care Assistance Calgary, our priority is our quality of care. As the needs of older adults change, it is important that they receive adequate assistance and support to maintain an enriched way of life. Including one of our caregivers either on an hourly or around the clock basis is an excellent way to ensure that this happens. Private home care may be a better option for you or your loved one. Ask us how we can help.